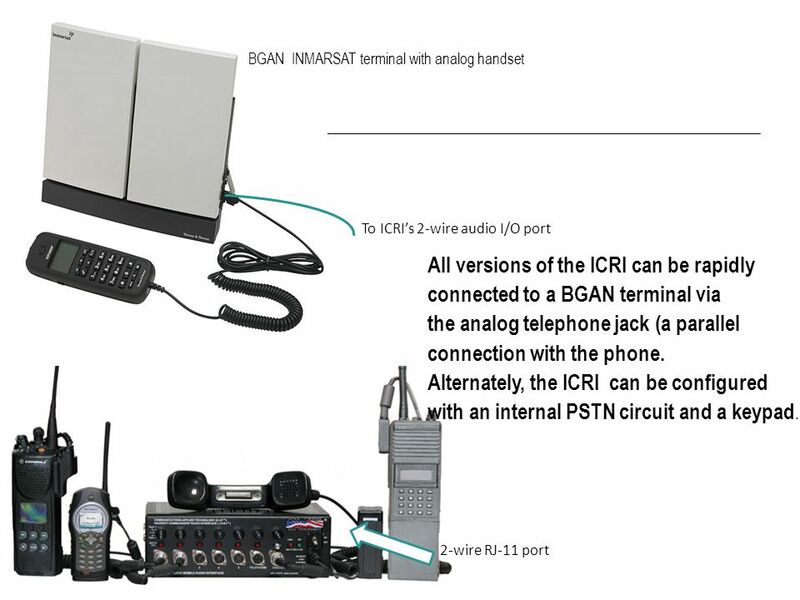 The ICRI is easy for first responders to use unlike other gateway devices that must be set up by a trained Comm-t or radios shop personnel. LeRoy Sisley Seattle Fire Department, WATF-01 USAR Communications Technician Our team conducted a training LANES at a harden bunker with 12 inch reinforced concrete walls. We were task with conducting a CBRNE RECON of the downstairs of the bunker. 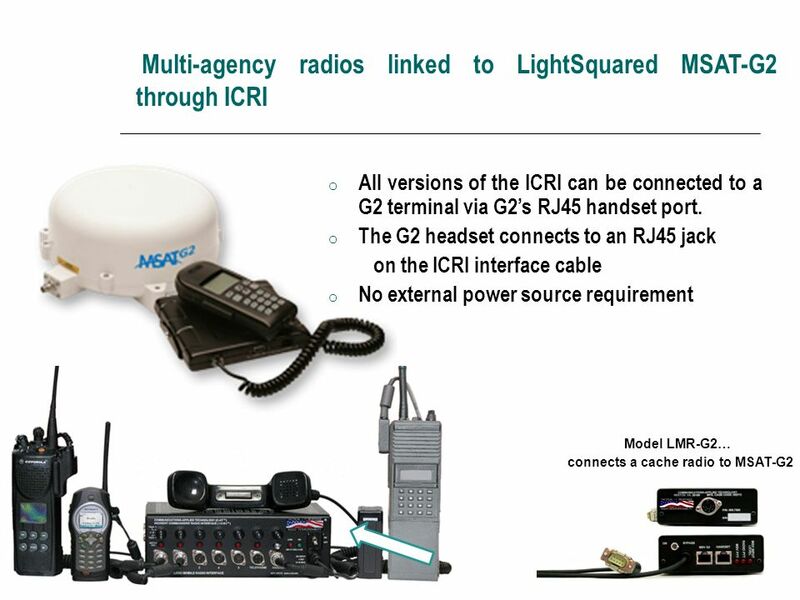 Additionally, due to the possible communication challenges that can arise with using line of sight two ways radio in this type of building the ICRI-2P was deployed. 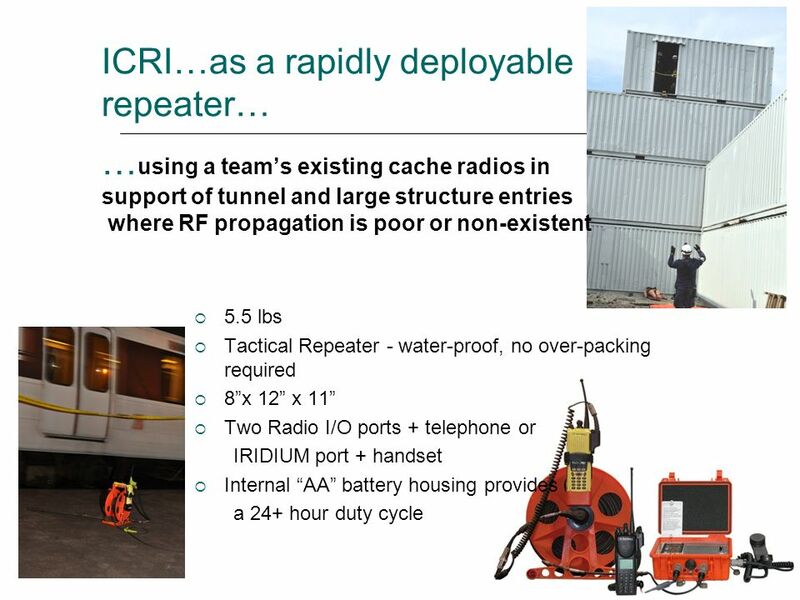 Compared to the similar systems I have used in the passed, I found the ICRI-2P to be easier to deploy in Personnel Protective Equipment. 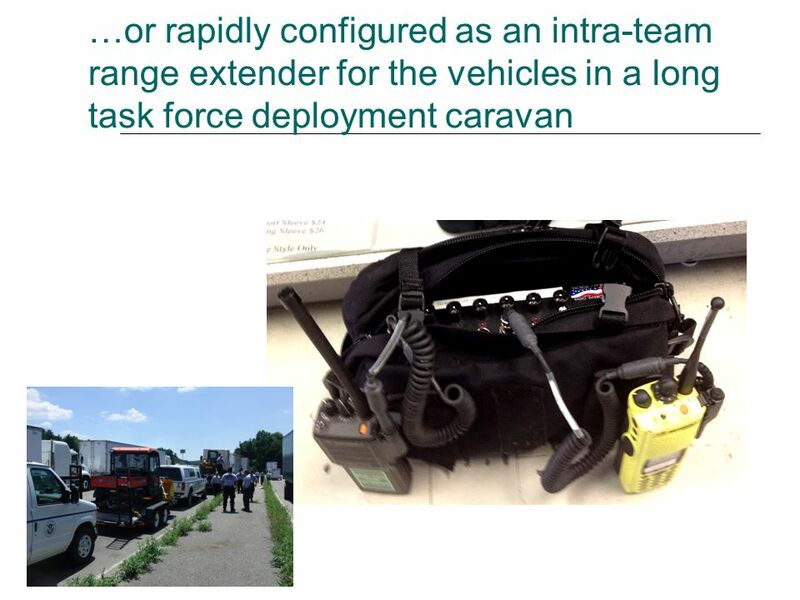 It was compact and light weight; no one on the team had any problems carrying the equipment down range. 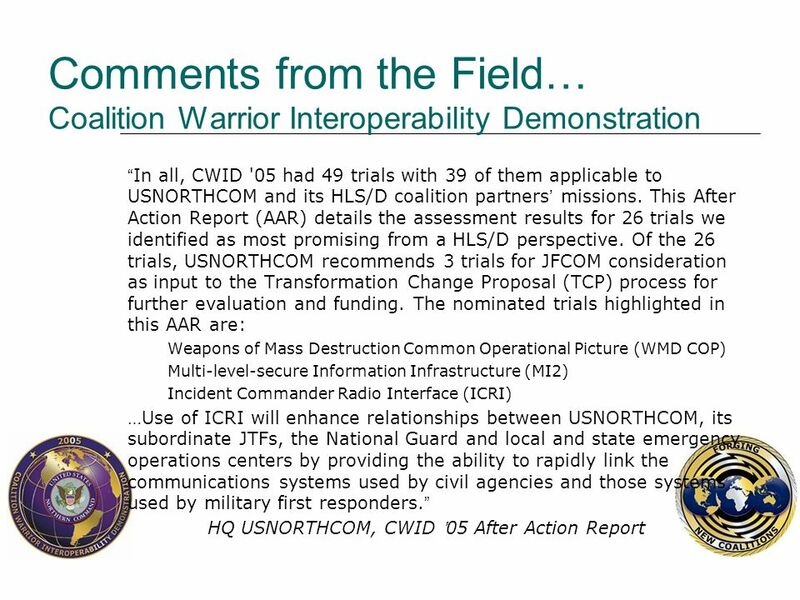 Likewise, while in the building the RECON team was able to effectively communicate back to the Survey Team Command Trailer. 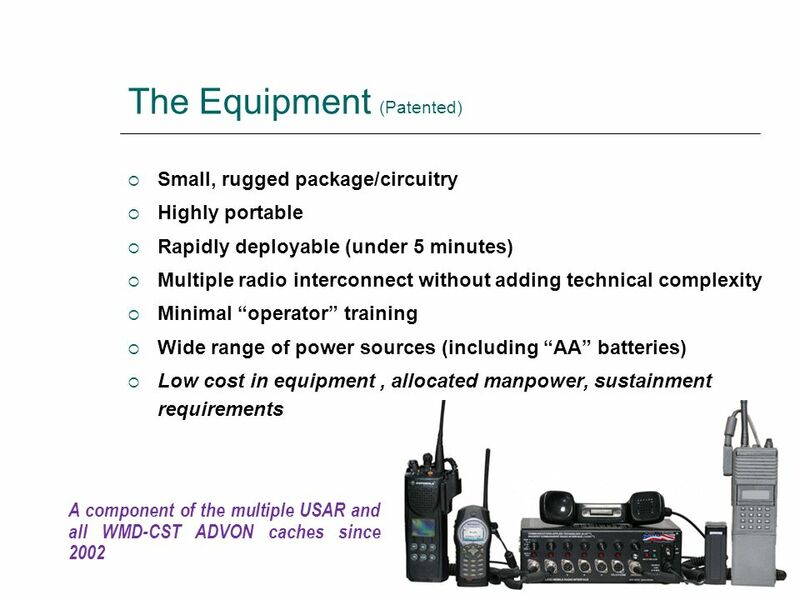 SFC Robert Phipps Commo Chief 23rd WMD-CST Christiansted, VI 00820 The Incident Commanders’ Radio Interface (ICRI) from Communications-Applied Technology was found to be a useful communications tool for the taskforce. 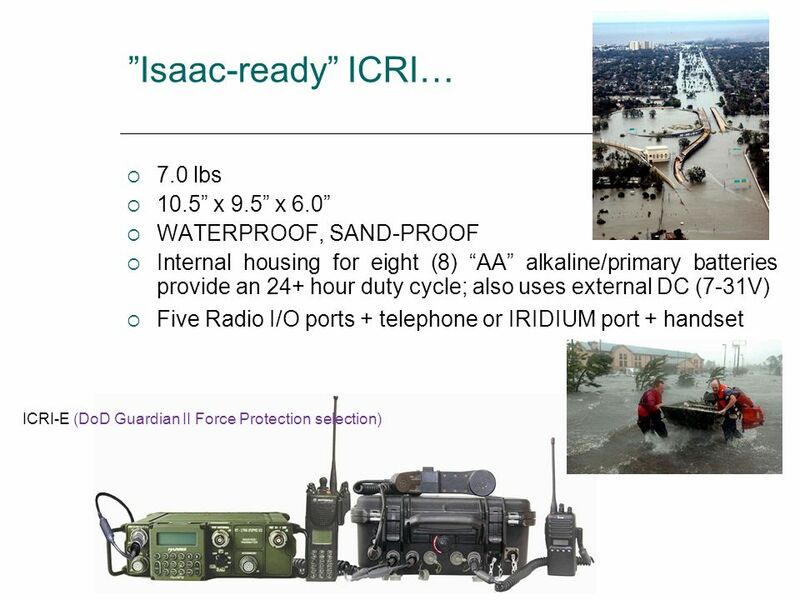 The ICRI is light, small, and easily packed in the cache. 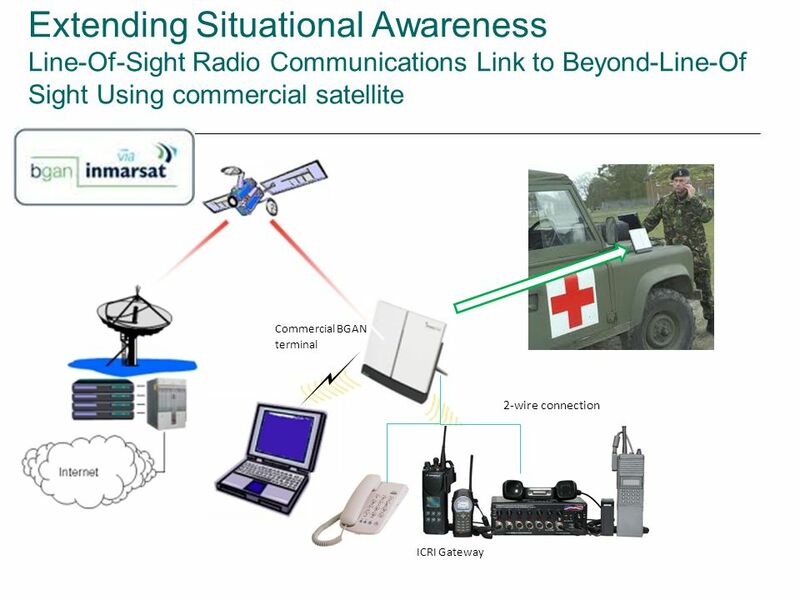 Its phone patch capability could provide first responders with direct communications to resources that would be available only by phone to radio relay. This could prove valuable in the WMD environment. 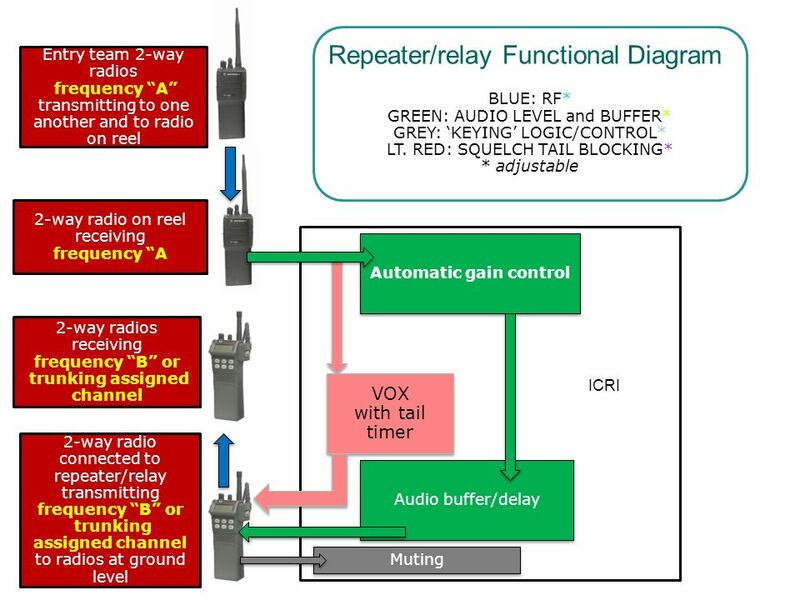 It also allows connection to other agencies or operations with very little setup time or communications knowledge. 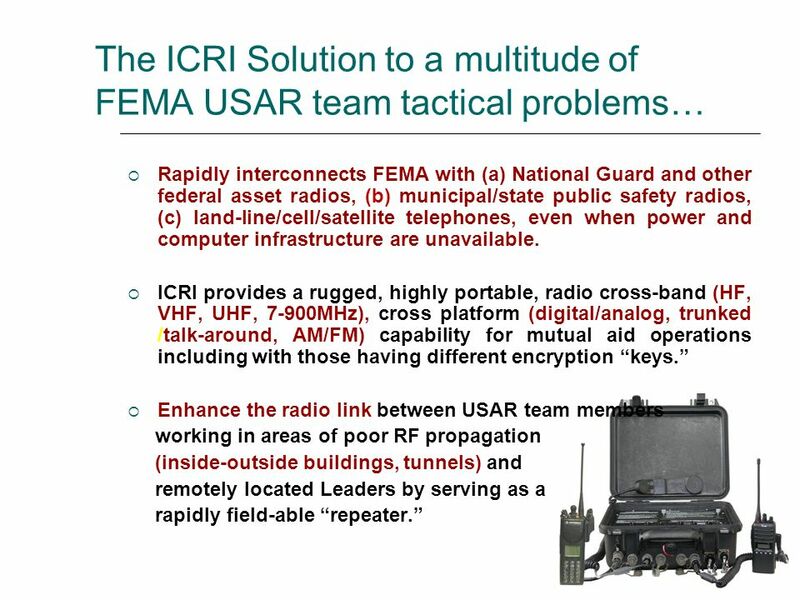 All tests, on usable radio/phone systems, with the ICRI provided good reliable communications DHS Emergency Response Technology Program Urban Search and Rescue (USAR) Operational Test and Evaluation. 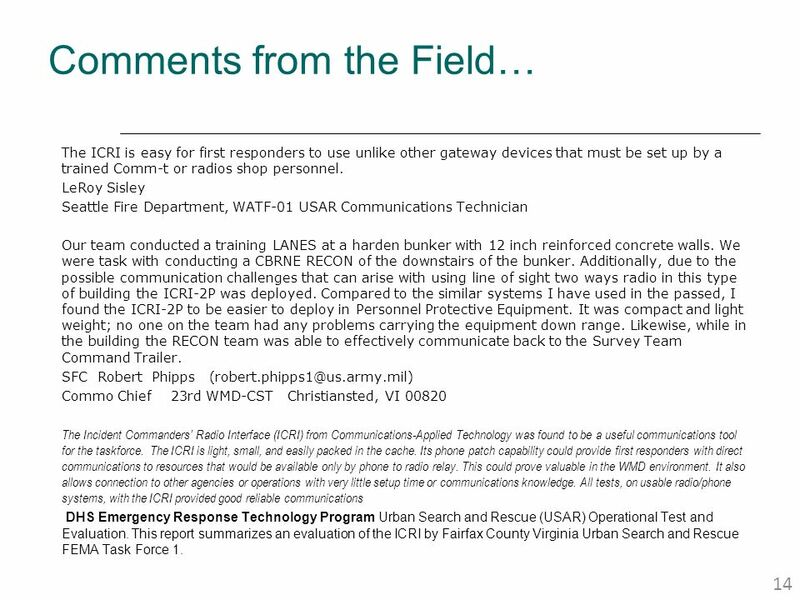 This report summarizes an evaluation of the ICRI by Fairfax County Virginia Urban Search and Rescue FEMA Task Force 1. 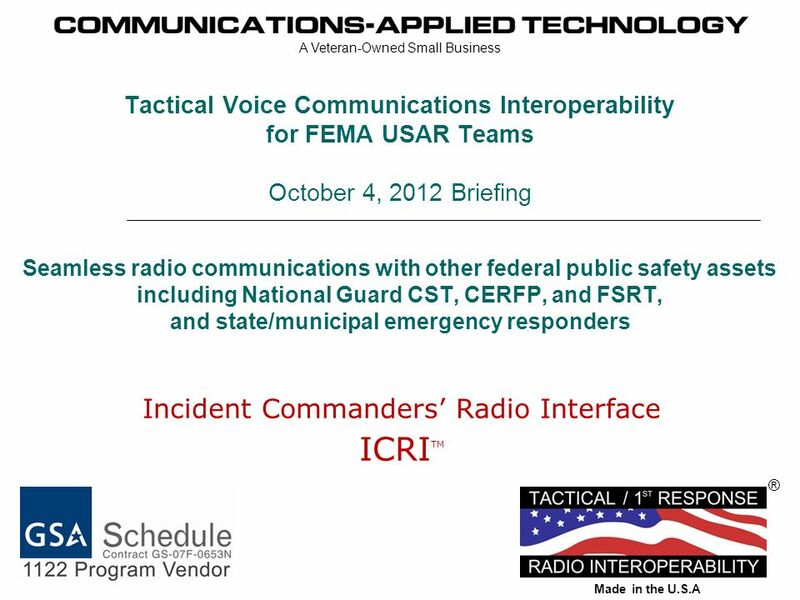 Download ppt "Incident Commanders’ Radio Interface ICRITM"
NATIONAL INTERAGENCY FIRE CENTER. 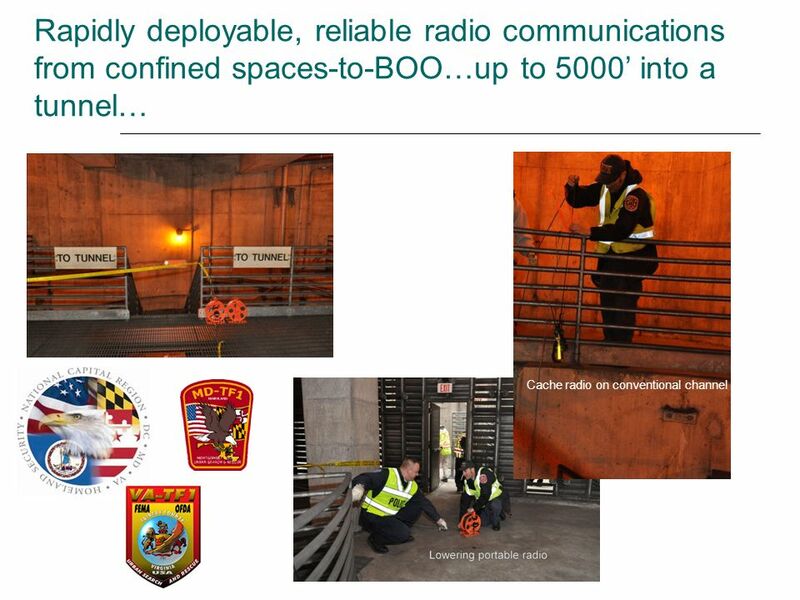 NATIONAL INTERAGENCY INCIDENT COMMUNICATIONS DIVISION INCIDENT SUPPORT INCIDENT SUPPORT NATIONAL INCIDENT RADIO SUPPORT. 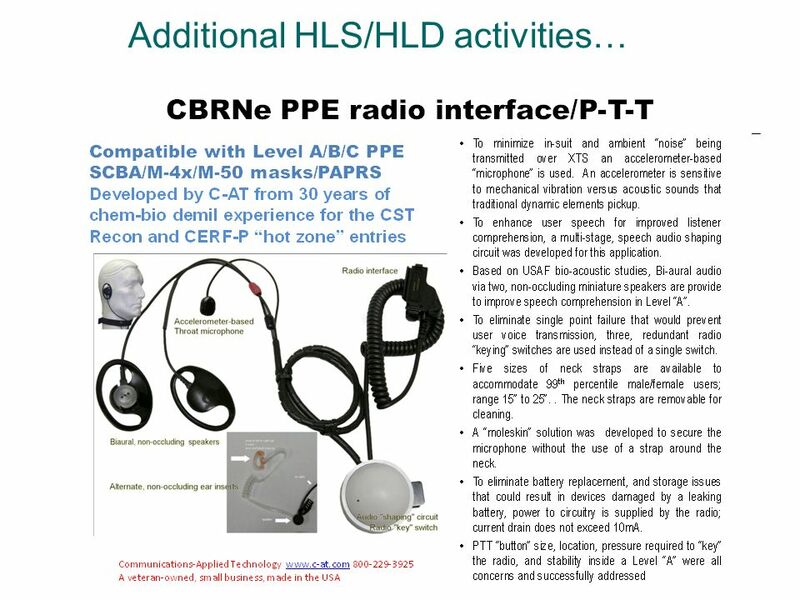 Indiana Establishing Standard Operating Procedures to Achieve Statewide Interoperability. 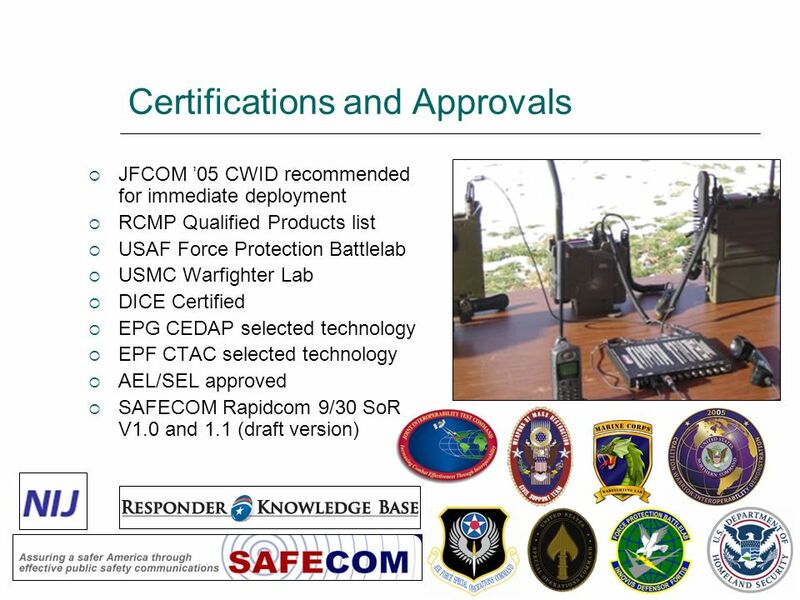 December 2012 Version Rapid Resource Response. 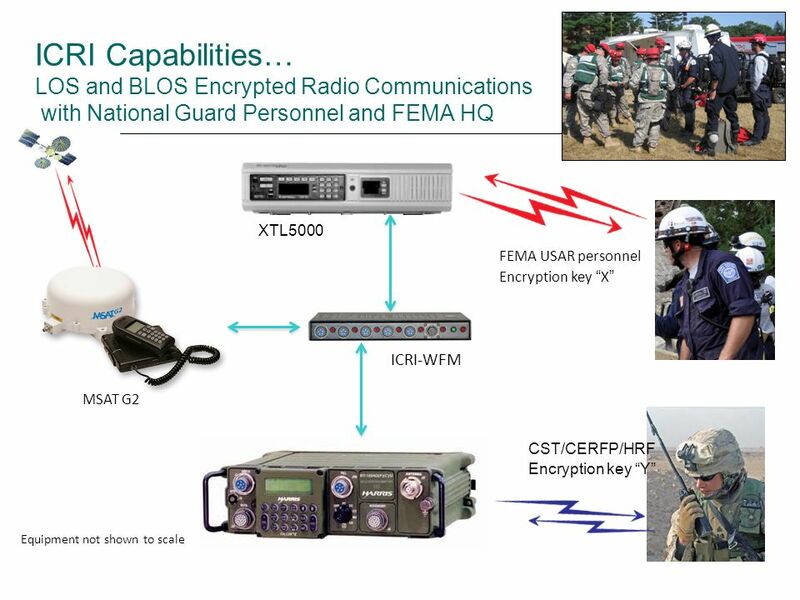 National Emergency Communications Plan Demonstrating Goal 2 By 2011, 75 percent of non-UASI jurisdictions are able to demonstrate response-level emergency. 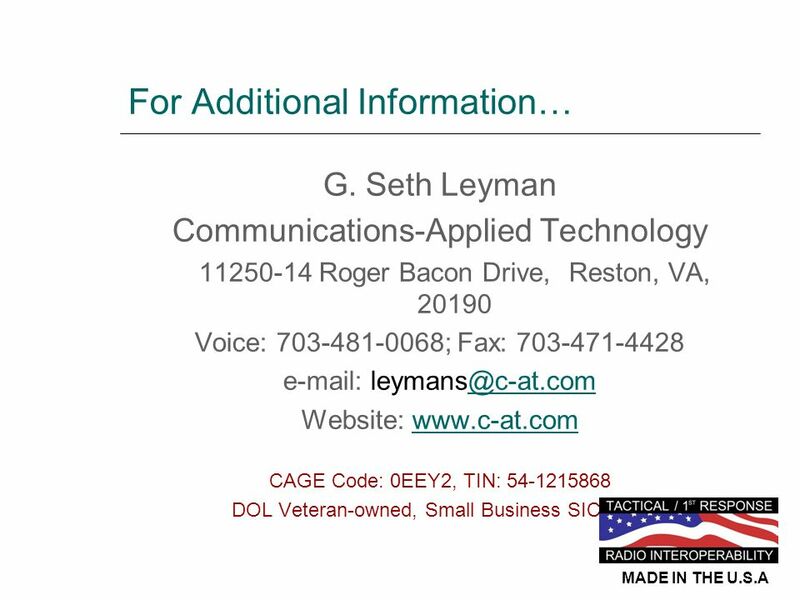 OEC/ICTAP Office of Emergency Communications / Interoperable Communications Technical Assistance Program Auxiliary Emergency Communications (AEC) Training.